Julia was born ready to live life to the fullest. Her life was led in adherence to 3 principles that included, being devout in her spiritual beliefs and practices, believing that service to others was the highest calling, and an insistence that everything could have an element of fun. She was born and raised in Salt Lake City and spent a few years in Seattle before returning to Salt Lake to marry and raise a family. In 1962, she married Allen Eugene Wright (Gene) in the Salt Lake Temple and then they enjoyed 57 years together. She lost her own mother at age 3, and even without a role model, she went on to be not only an incredible wife but an incredible mother and grandmother. Together Gene and Julia had five children: Brian, Gary, Glen, Pearl, and Scott. She spent her career as a bill collector which does not typically include thank you cards and gifts. However, Julia’s kind spirit enabled her to not only be incredibly successful in this area but also to make new friends. Julia was as kind as she was intuitive. She always seemed to know when someone needed help and was quick to present a plate of brownies, a card, and a hug. Her creative side was illustrated in many ways. She was an avid gardener, an amazing cook, and enjoyed playing the accordion as a young woman. And on any given day, she could be seen dancing to Elvis Presley. Julia was like her mother as both of them believed that strangers were just friends they had not met yet. 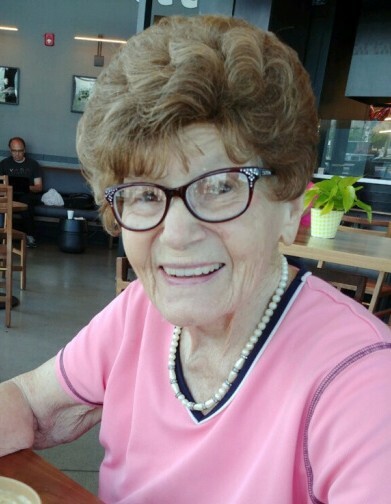 Her family never got tired of hearing neighbors, friends, and complete strangers share funny experiences they had shared with her. She is survived by her husband Gene, all 5 children, 10 grandchildren, and 4 great-grandchildren and many strangers who were friends she had yet to meet. We would like to thank Solstice Hospice for taking such great care of Julia. Funeral services will be held Friday, March 29 at the LDS Chevy Chase Ward (5235 S. Wesley Rd., Murray, UT 84117) at 11 am. No viewing will be held. In lieu of flowers, please send a donation to the Alzheimer's Association in honor of Julia.